If you have any questions about the VINYDREA information page below please contact us. This motor yacht VINYDREA is a 53 metre 175 (foot) notable steel boat which was fashioned by Proteksan Turquoise Yachts and designed by Proteksan - Turquoise Yacht. The noteworthy trawler style yacht VINYDREA is a particularly distinctive Turkish built superyacht which was launched to much satisfaction in 2008. Accommodating 10 passengers and 12 qualified crew, motor yacht VINYDREA used to be Nb47. The firm of naval architecture responsible for the design work in respect of this ship was Proteksan - Turquoise Yacht. The interior design was the work of Jean-Guy Verges. The yacht is a recent trawler style yacht. 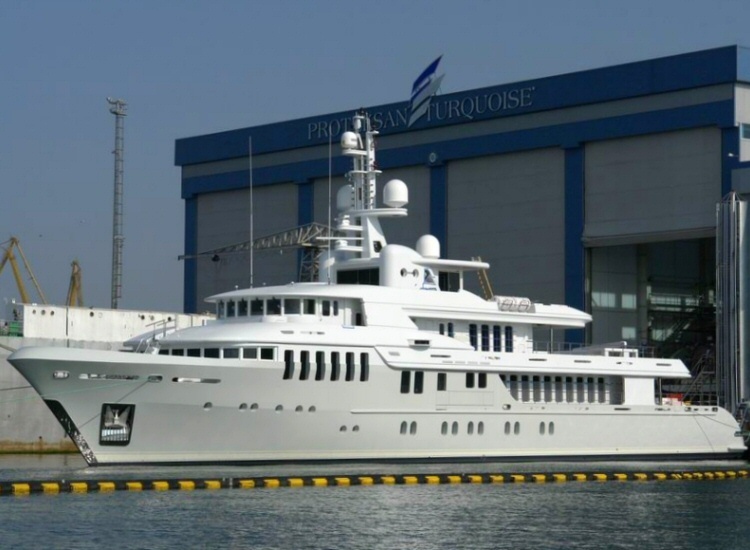 Proteksan - Turquoise Yacht was the naval architecture company involved in the professional vessel composition for VINYDREA. Her interior design was conceived by Jean-Guy Verges. Proteksan - Turquoise Yacht is also associated with the yacht wider design collaboration for this yacht. Turkey is the country that Proteksan Turquoise Yachts built their new build motor yacht in. After formal launch in 2008 in Istanbul she was thereafter delivered on to the owner having completed sea trials. The hull was built out of steel. The motor yacht superstructure is fabricated for the most part from aluminium alloy. With a beam of 9.4 m or 30.84 ft VINYDREA has spacious size. She has a reasonably deep draught of 3m (9.84ft). Fitted with twin CATERPILLAR diesel engines, VINYDREA can attain a maximum speed of 16 knots. She is driven by twin screw propellers (schaffran). She also has an efficient range of 4400 nautical miles whilst motoring at her cruising speed of 14 knots. Her total HP is 3500 HP and her total Kilowatts are 2611. As for thrusters she utilises Hrp. With respect to the ship’s stabalisers she was built with Quantum. 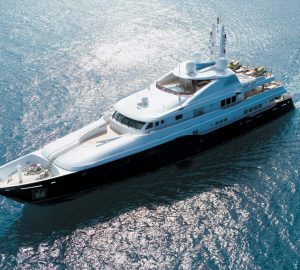 The noteworthy luxury yacht motor yacht VINYDREA can accommodate up to 10 passengers and has 12 professional crew. 53.2 metres / 174.54 feet. 3512B B RATING HD diesel. Giving the combined power of 3500 HP /2611 KW. Range in nautical Miles is 4400 at a speed of 13.4 knots. Around Sept 2009 VINYDREA sailed to Selínia, in Greece. This motor yacht has traveled the cruising ground around Attikí during Sept 2009. Frigorifero Ii is the model of air conditioning fitted to regulate the temperature. The luxury yacht VINYDREA displayed on this page is merely informational and she is not necessarily available for yacht charter or for sale, nor is she represented or marketed in anyway by CharterWorld. This web page and the superyacht information contained herein is not contractual. All yacht specifications and informations are displayed in good faith but CharterWorld does not warrant or assume any legal liability or responsibility for the current accuracy, completeness, validity, or usefulness of any superyacht information and/or images displayed. All boat information is subject to change without prior notice and may not be current.